Depending on the nature of the event, international guest speakers at an event in Canada may need to obtain a work permit. Canadian cities are often host to various conferences, seminars, and conventions, some of which feature guest lecturers or commercial speakers. When these individuals come in from outside Canada, issues related to Canadian immigration may come into play. There are certain scenarios in which a work permit might be required, and others in which this is not the case. The duration of the speaking engagement is a good indicator of whether the individual must apply for a work permit. Durations of no more than five days typically do not require the speaker to obtain a work permit. 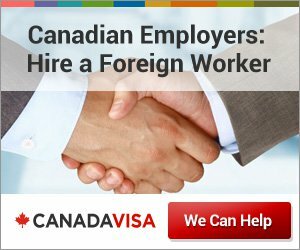 Although there are exceptions, the principle behind this is that these individuals will not have a negative effect on the Canadian labor market, and therefore do not require legal authorization to perform their short-term work in Canada. The nature and subject matter of the speaking engagement is another factor to take into account when determining whether a work permit is necessary. Academic guest lecturers at a university or college function are usually exempt from the requirement to obtain a work permit, as are celebrity speakers or those speakers that hold a particular expertise that is relevant to the event at which they are speaking. The same can be said of commercial speakers advocating for a particular product or service, as long these speakers are not concurrently selling the said product or service at the event. What would entail a work permit is if the individual was coming to give training to Canadians or provide instructional lessons as it concerns a certain sport. Activities of this nature are considered to be providing a service to Canadians and, as such, their performing these activities would be viewed as an entry into the labour market, thus necessitating a work permit. The determination of whether or not a work permit is required in the context of a guest speaker is not always an easy one to make. There are many grey areas as it concerns the nature of the event, the topic to be addressed, and the qualifications of the speaker. 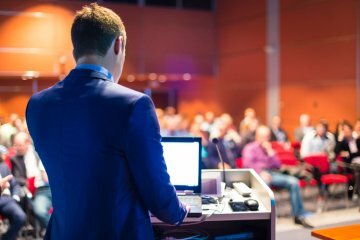 The length of the speaking engagement is not always the sole determining factor, as there can be certain exceptions to the five-day time limit. Even if a work permit is definitively required, the way forward might not be clear. Depending on the circumstances, a facilitated work permit application process might be available. Individuals and organizations who wish to learn more about the process may submit their query to our specialists using the form below.